The Double Bookcase has 10 adjustable shelves to store books and collections. The double bookcase is made of solid wood and has classic French country details including; crown molding, raised side moldings, and a scalloped base. The back of the piece is solid tongue and groove wood. The double bookcase 60 inch width is the perfect home office wall unit, but also provides adaptable open storage for a living room or great room. A library is a place where ideas are created, and your world is expanded. The Double Bookcase provides beautiful home office storage for all your inspiring reads, and curiosities. 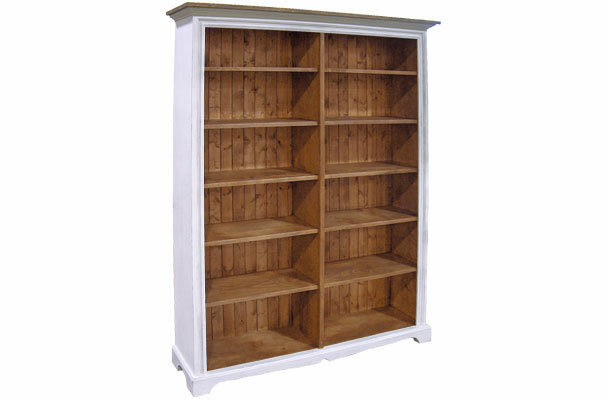 This wide bookshelf unit is sturdy and handcrafted of solid wood. Even the backing is made of solid pine tongue and groove. The adjustable shelving allows flexibility to collect and store an ever changing collection of best sellers and large art books. The double bookcase is for more than books—it displays collections, showcases art pieces, and provides organization. 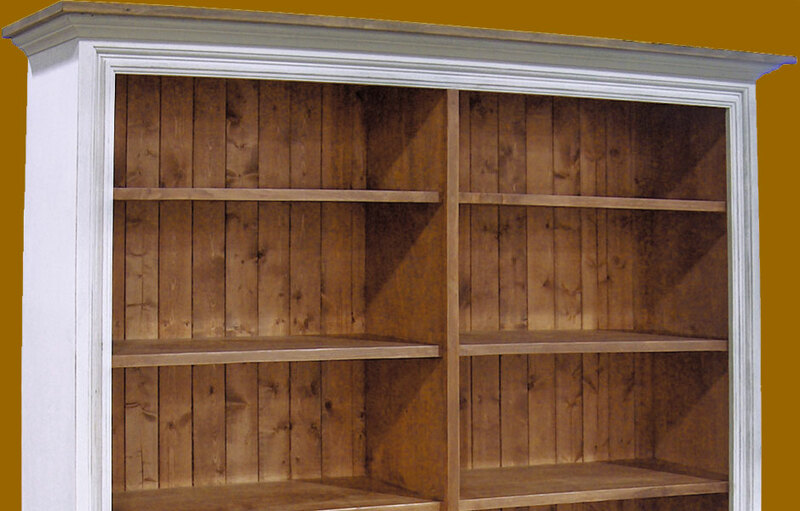 A large bookcase wall unit is a durable piece of furniture in a home office, living room or great room. The French country styling has traditional elegance with crown molding, fluted side molding, and scalloped base molding. The 60" wide bookcase functions as a open storage wall unit. The 14 3/4" depth makes it narrow enough to not overwhelm the room. 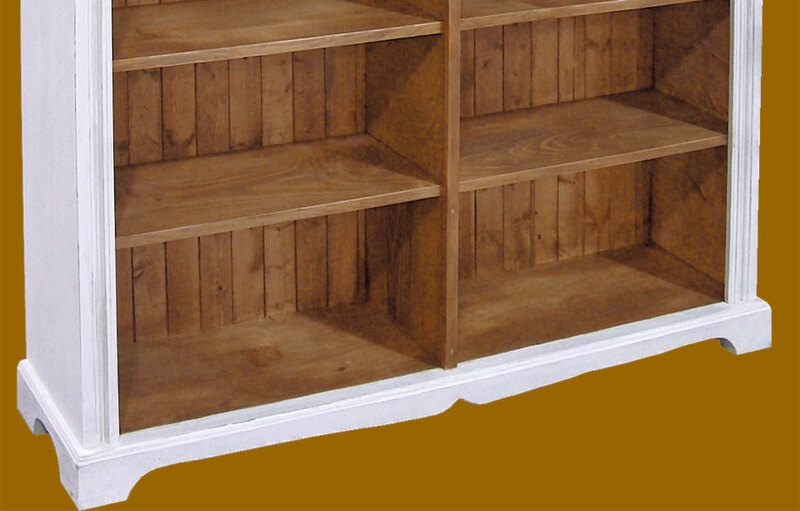 The 10 3/4" deep shelves offer enough depth to store books and collections. The large wood open double bookcase can be painted in a traditional French country two-tone paint and stain combination or stained all-over for a more contemporary style.